The publication for the 18th Silver Triennial documents the results of the international competition for current trends in the silver scene announced by the Gesellschaft fur Goldschmiedekunst e.V. and the Deutsches Goldschmiedehaus Hanau. Renowned silversmiths and metal designers who are active across the globe as well as up-and-coming artists present their ideas for pitchers, bowls, tumblers, cutlery, candelabras and accessories. A top-class jury Paul Derrez, Galerie Ra, Amsterdam; Dr Wolfgang Schepers, retired director of the Museum August Kestner, Hanover; and Bruno Sievering-Tornow, master silver- and goldsmith, and specialist teacher at the Staatliche Zeichenakademie Hanau selects the best of the best from 2016. 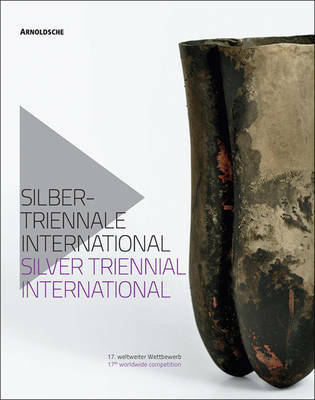 Buy Silver Triennial International by Christianne Weber-Stober from Australia's Online Independent Bookstore, Boomerang Books. Christianne Weber-Stober is an art historian and jewellery scientist, has numerous publications to contemporary jewellery and hollow- and flatware design as well as publications to jewellery, fashion, silverware, focal point 20th/21st century. Since 1989 general manager of the Association for Goldsmiths' Art in Hanau, a non-profit association promoting gold- and silverware design on national and international rank. Priority has the promotion of young artists by competitions, exhibitions and publications. Since 2006 director of the German Goldsmiths' House, whose exhibition emphasis is the contemporary jewellery and hollow- and flatware design.